Beyond the flashy beaches of Cancun and cosmopolitan Mexico City, lies the state of Oaxaca. Oaxaca (also the name of the state’s capital) is a gentle city that mixes the colonial character of traditional Spanish plazas, churches and cobblestone with the indigenous legacy of agricultural and pre-Columbian art. Modern day Oaxaca is a testament to both cultures and their years of living side by side with Zapotec mole as popular as, and often mixed with, dishes made with rice (a Spanish descendent). As you prepare to explore, make sure to pack a good pair of shoes because the artistic alleyways and extensive markets will keep you on your feet all day. When you’re in Oaxaca, make sure not to miss these staples. 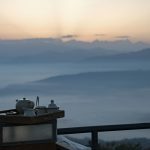 Chocolate– Chocolate shops abound in Oaxaca and while the most ubiquitous, Chocolate Mayordomo, offers a popular chocolate smoothie option, our favorite was Chocolates La Soledad. Here you’ll smell the chocolate steps before you see it, as the aromas of fresh chocolate production waft into the street. They offer samples of the majority of their chocolates which means you can find the perfect one before purchasing. 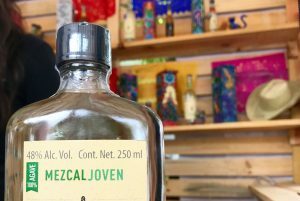 Mezcal– Oaxacans are pretty darn proud of their regional beverage, a smoky flavored cousin of tequila, and will offer you a drink at every turn. When imbibing, remember that mezcal is meant to warm you up – so sip it like a wine. Most restaurants have extensive options and enthusiasts can even head to one of the local distilleries to see the Mezcal making in action. Coffee– The classic coffee drink in Oaxaca is a sweet mix of coffee and cinnamon called Cafe de Olla. For those who prefer a stronger, no-frills morning cup of joe, we recommend Nuevo Mundo and Café Brújula for fresh roasts, crafted espresso drinks, and pastries that will remind you of your favorite Brooklyn cafe. Quesillo– This “string cheese” style queso is the cheese of Oaxaca. Buy a block of quesillo at any of the markets or try it for lunch as part of a tlayuda. This traditional Oaxacan street food (sometimes referred to as Oaxacan Pizza) can be found on many a corner throughout the city, with options to also include beans, meat and vegetables with your cheese. There’s a reason Oaxaca is known as a foodie destination. If you’re looking to check off all of the traditional fair in one meal, head to Casa Oaxaca. This is one of the most popular restaurants in the city so make your reservations ahead of time and request a seat on the terrace. There you’ll enjoy views of Templo de Santa Domingo as you dine. Your meal starts with tostada, quesillo and freshly prepared salsa. So fresh, in fact, that it is prepared in front of you with the traditional mortar and pestle. Appetizers include fresh vegetables from the restaurant’s own farm, memelas (corn cakes) with rabbit, or the classic tlayuda with quesillo. Main dishes range from various mole options to grasshopper infused salsas to a creative dish of herb marinated prawns served over a banana puree. They have an extensive list of mezcal, mezcal-based cocktails and even local and international wines to enjoy with your meal. Though not as traditional as Casa Oaxaca, El Destilado is not to be missed by foodies visiting Oaxaca. The owners are three Americans trained in Michelin starred kitchens and inspired by Oaxacan cuisine. The result is a mix of simple ingredients, complex flavors and an always-rotating menu. Expect a hipster setting with craft beers, their own house mezcal, and small plates shared family-style. Yet, the real gem of this place is their tasting menu where, for $45, you get a 9-course meal. (You must make reservations at least one day in advance). If you’re looking for a more homey vibe and want to feel like you’re eating traditional Oaxacan food in someones personal kitchen, head to El Escapulario. The kind staff and relaxed atmosphere makes this the perfect lunch spot with a table next to the window that offers fresh air, sun, and street views. In between all of your noshing, head to a museum for a bit of history or hit the markets to shop. The mix of modern and historic extends to fashion in Oaxaca with versions of the traditional embroidered garb still seen in stores and on bodies throughout the capital city. 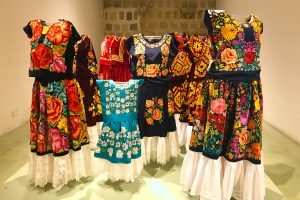 The small Museo Textil de Oaxaca (free) is worth a visit to help put into context the connection between Oaxacans, their style choices, and the long history of designs, weaving, and textile production throughout the state. El Museo de Las Culturas de Oaxaca ($4) is a much more time intensive endeavor with exhibits filling the entirety of an Old Spanish monastery in the center of the city. You could spend a full visit just admiring the building with its gold embellishments, high ceilings, airy courtyard and long hallways. 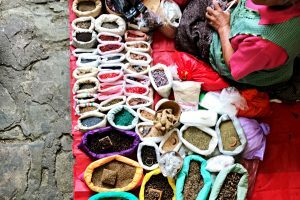 The lush ethno-botanic gardens in the back offer a botanical reading of Oaxaca, with native plants communicating the importance of biodiversity to the region (and after your visit to the Museo de Textil you’ll better understand the role of plants in the coloring of textiles.) Inside the museum, dig even deeper into history, as each room includes centuries of history revolving around different themes. Hop from a room dedicated to musical instruments to one highlighting the evolution of knives. Your hours inside this museum will leave you with a deep understanding of how Oaxaca developed. Parque El Llano – located in the center of the city. Head here if you’re visiting during the annual Guelaguetza, a festival and full day performance dedicated to honoring the state’s indigenous past. 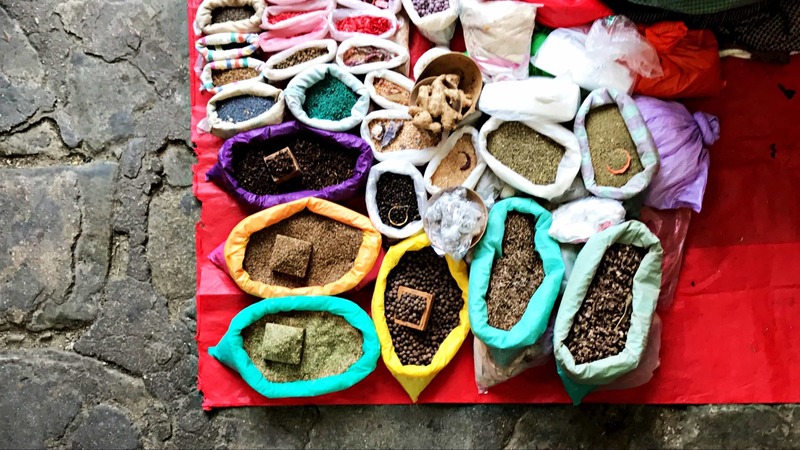 For centuries, people from each region have converged in the capital of Oaxaca, bringing their regional products to sell and trade. From loom-weaved rugs made in the Valley of Teotitlan to jewelry emulating the lost wax method of casting, you’ll find distinctly Oaxacan treasures. Mercado Benito Juarez – One of the largest markets in the city, Benito Juarez offers everything from food to textiles to ceramics often at low (and bargain-able) prices. Galeria Fe & Lola – This is the place to go for a more tailored and styled look. A family-run business, Galeria Fe & Lola offers beautiful hand-dyed purses and rugs that are both higher quality and higher cost than what you’ll find in the markets. Check-in to the centrally located, clean, and comfortable Suites La Fe. Your room here is a small apartment in a villa-esque building with simple decorations and a quiet courtyard. Filtered water, high speed internet and even air conditioning are included. 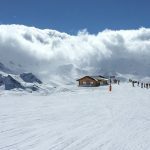 The staff is friendly and the owners will personally ensure you enjoy your stay. After taking a cab from the airport, you’ll find everything in the city center is walkable. The lack of bike lanes and speeding cars do, unfortunately, make the city unfriendly to cyclists. A local group is trying to change the local attitude towards bikes with group rides for all levels throughout the week. 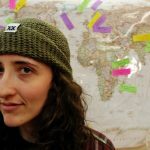 Sarah Knapp is a Brooklyn -based entrepreneur whose love for the outdoors and community building led her to the October 2013 creation of OutdoorFest. She has a BA in History, is a Wilderness First Responder and a NY state hiking, camp and boating guide. Her proudest achievement to date is reading the Aeneid in Latin. offMetro is a travel resource for city dwellers who want to get out of town–car-optional. 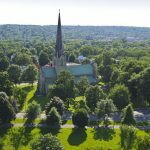 oM reports on the best day trips and weekend getaways that are easily accessible via alternative modes of transportation. If you can’t make the weekends longer, strive to make them better.